Two astronomers from Bonn have proposed a new path for the formation of a newly discovered class of millisecond pulsars with similar orbital periods and eccentricities. 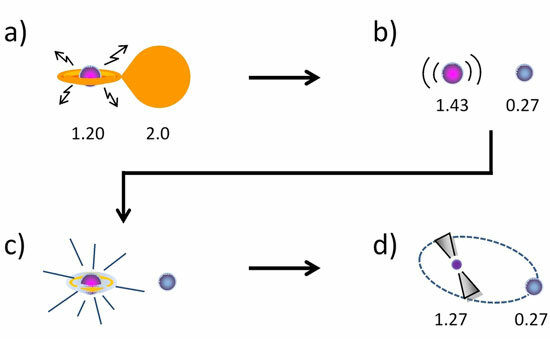 In the scenario of Paulo Freire and Thomas Tauris, a massive white dwarf star accretes matter and angular momentum from a normal companion star and grows beyond the critical Chandrasekhar mass limit. The new hypothesis makes several testable predictions about this recently discovered sub-class of millisecond pulsars. Although researchers have determined the ages of rocks from other planetary bodies, the actual experiments - like analyzing meteorites and moon rocks - have always been done on Earth. 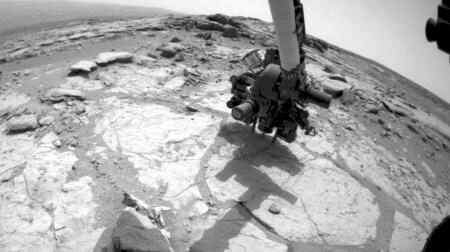 Now, for the first time, researchers at Caltech have successfully determined the age of a Martian rock - with experiments performed on Mars. This work could not only help in understanding the geologic history of Mars but also aid in the search for evidence of ancient life there. First discovered in 2007, 'fast radio bursts' continue to defy explanation. 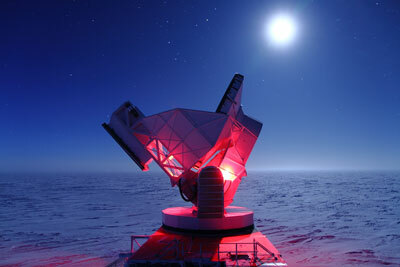 These cosmic chirps last for only a thousandth of a second. The characteristics of the radio pulses suggested that they came from galaxies billions of light-years away. 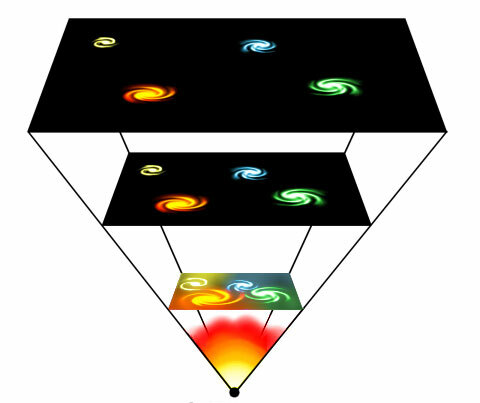 However, new work points to a much closer origin - flaring stars within our own galaxy. Maybe it happens tomorrow. Maybe in a billion years. Physicists have long predicted that the universe may one day collapse, and that everything in it will be compressed to a small hard ball. New calculations from physicists at the University of Southern Denmark now confirm this prediction - and they also conclude that the risk of a collapse is even greater than previously thought. 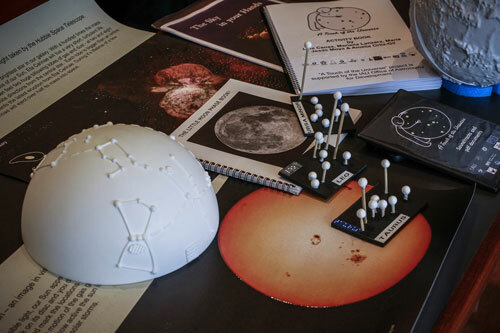 The Astronomic Observatory of the University of Valencia has undertaken this year the project 'A touch of the Universe', a non-profit mission that aims to create thirty kits with tactile astronomical activities for children with visual difficulties. 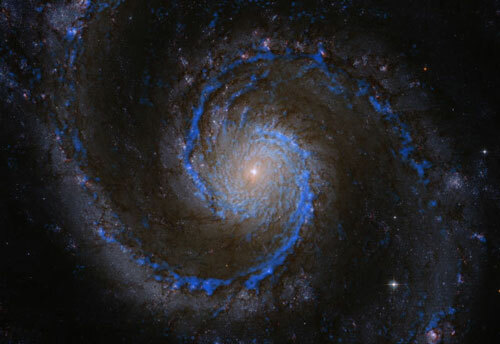 Molecular clouds in the whirlpool galaxy appear to be embedded in fog, whose pressure is crucial in determining the birth of suns. 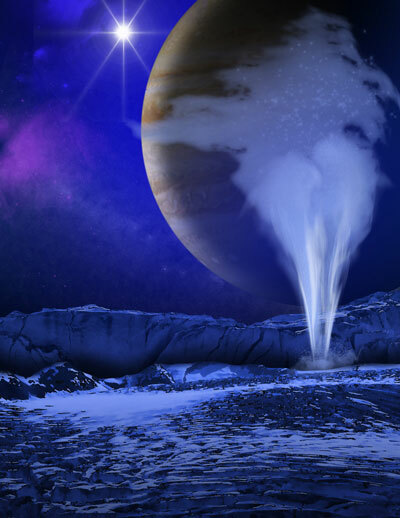 Researchers model currents beneath the frozen surface of Jupiter's moon. Dust may be more rare than expected in galaxies of the early Universe, according to an international research team, led by Swinburne University of Technology astrophysicist Dr David Fisher. 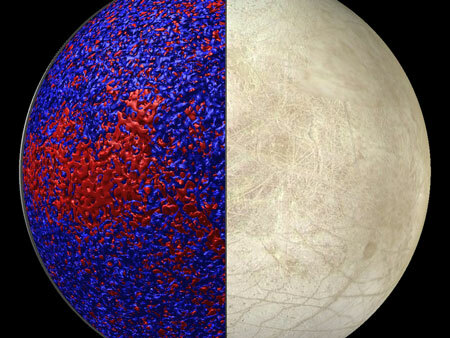 Apply heat and stir; an expanding universe can emerge in a remarkably simple way, say scientists. 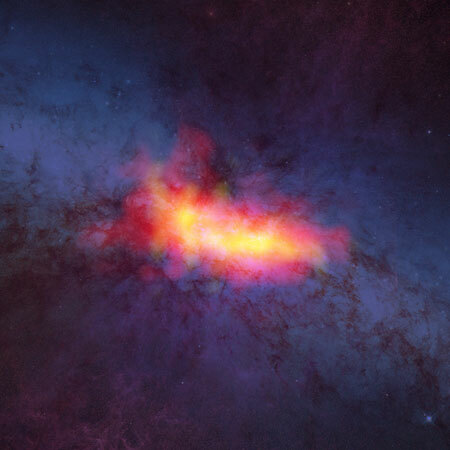 Using the new, high-frequency capabilities of the National Science Foundation's Robert C. Byrd Green Bank Telescope, astronomers have captured never-before-seen details of the nearby starburst galaxy M82. These new data highlight streamers of material fleeing the disk of the galaxy as well as concentrations of dense molecular gas surrounding pockets of intense star formation. 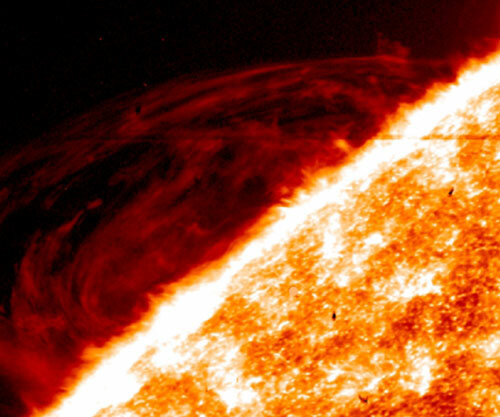 The region located between the surface of the sun and its atmosphere has been revealed as a more violent place than previously understood, according to images and data from NASA's newest solar observatory, the Interface Region Imaging Spectrograph, or IRIS. 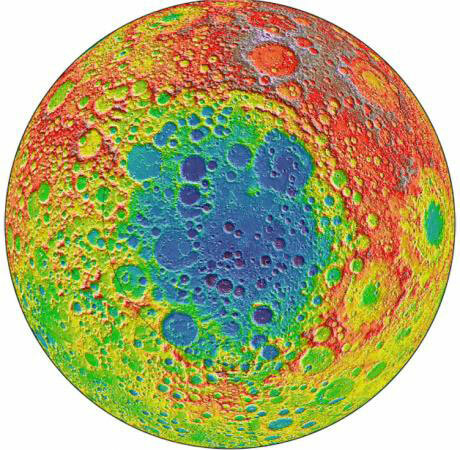 A massive impact on the Moon about 4 billion years ago left a 2,500-mile crater, among the largest known craters in the solar system. Smaller subsequent impacts left craters within that crater. 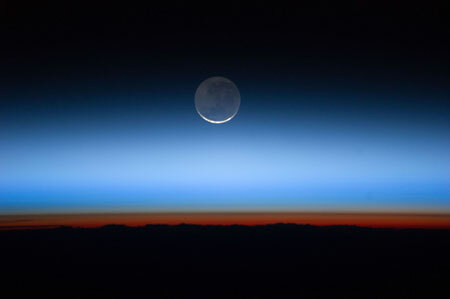 Comparing the spectra of light reflected from the peaks of those craters may yield clues to the composition of the Moon's lower crust and mantle - and would have implications for models of how the Moon formed. 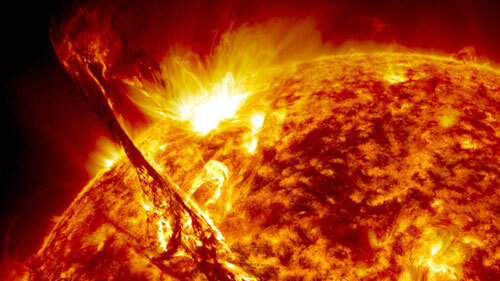 A spacecraft at near-Earth orbit is continuously bombarded by charged particles. Finnish Meteorological Institute has developed a unique model that simulates electron environment in the near-Earth space.